Createspace Independent Publishing Platform, 9781517040956, 280pp. For most of her life, D. Margaret Hoffman taught other people to write. By challenging herself to write an essay a week for a year, she learned first-hand that life is always there to hand us something more to say. 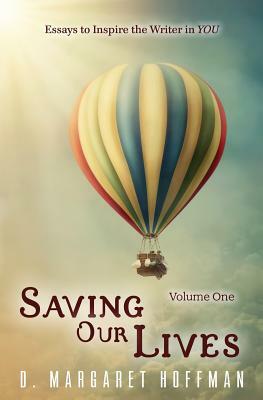 Saving Our Lives: Essays to Inspire the Writer in YOU was born of this challenge. Here Hoffman spills her life stories AND her writing secrets. It is a collection that unveils her strengths--observing life's moments, reliving them in words and motivating others to do the same. If you've always wanted to write, this is the book that will inspire you to DO it. If you're looking for a book of essays that you can enjoy reading just because, that's here, too. Chances are good that you will find yourself somewhere, somehow in these pages and you will be glad you came. Hoffman's essays will encourage you to pay attention to the life you live, to admire the details, to find the fun. With humor and heart, they'll convince you that your life, too, is worth saving--one story at a time.